In North Dakota, criminal backgrounds for pre-employment purposes are more important than ever before. National Criminal Reports contain criminal records from every county in the state, but some courts have are no longer updating records reliably. Intelfi understands that this can negatively affect employers from receiving accurate criminal background checks, so we have recommended going directly to the county courts to cover any possible gaps. Intelifi can create a one-step search that will allow you to check your job candidate on both the national and county level – this way you can be sure that you leave no stone unturned. There are many benefits to working with a screening provider that understands the ins and outs of how the county courts are maintaining their criminal case history. 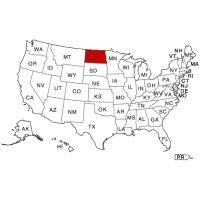 North Dakota criminal background checks contain Felony and Misdemeanor convictions, which will range from severe offenses such as Homicide, to less serious crimes like Driving While Impaired. Contact Intelifi today to begin comprehensive pre-employment background screening in North Dakota.